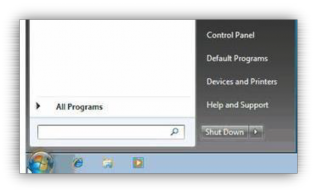 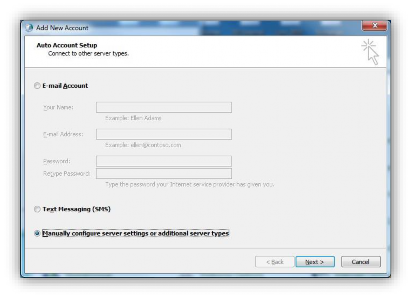 Select Manually Configure Server Settings or additional Server Types and go to Next. 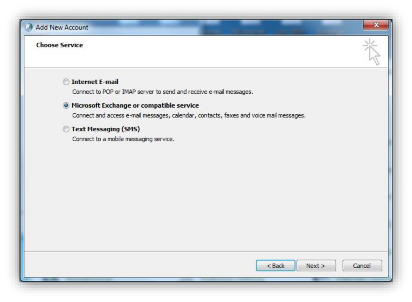 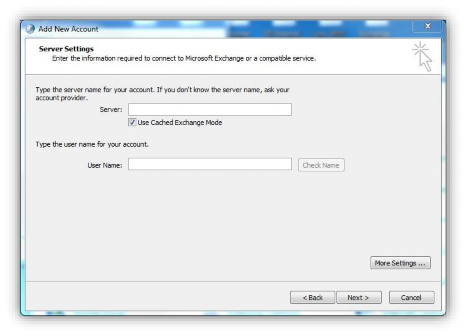 Select Microsoft exchange or Compatible Service and go to Next. 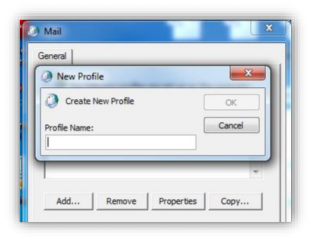 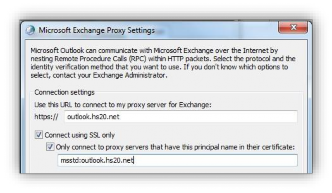 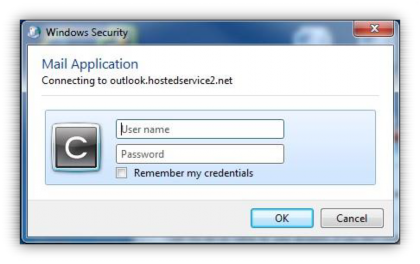 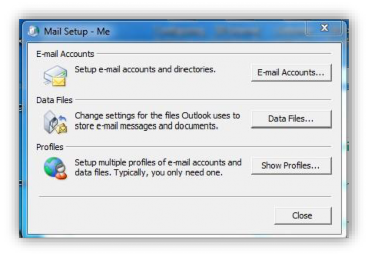 Enter the proxy server as outlook.hs20.net and the principal name as MSSTD:outlook.hs20.net. 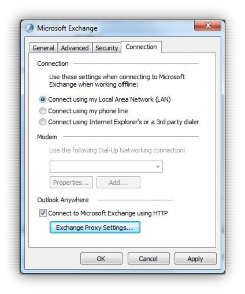 Tick On fast networks, connect using HTTP first, then connect using TCP/IP and change the authentication to Basic Authentication.